What's good for us is good for you! We are like any other fine mouses in this world. 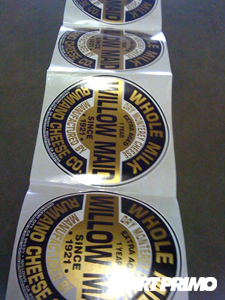 We look for the most delicious of delicious and get down! 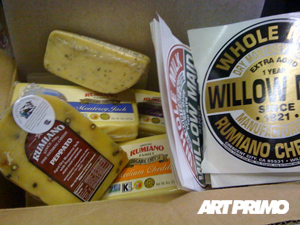 We would like to thank the fine people of Rumiano Cheese for sending this awesome package our way. My personal favorite was the Sicilian Jack. It is important to be good to your body and eat things that are as natural as being born 'nekked! The Rumiano cows are wined and dined in order to give us the most delicious of cheesy wonders the Westcoast has to offer. I know in the day of fast-food and convenience stores, it is hard to stay healthy, but the level of commitment you show to having a healthy lifestyle will definitely pay off. Thanks Ray, we love you to! !